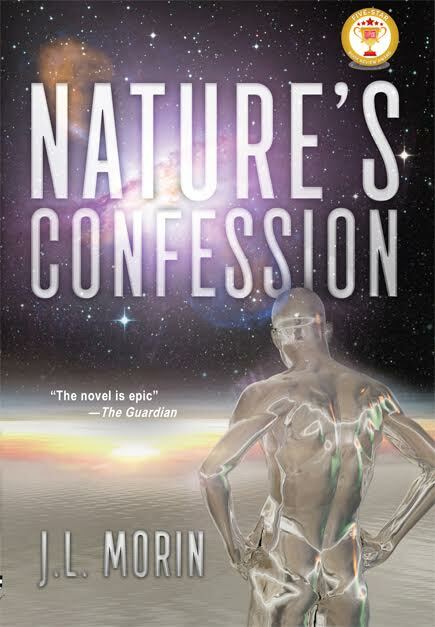 Nature's Confession packages environmental concerns in a YA sci-fi book. Our heroes’ world, ruined by villains who profit through environmental disaster, take it upon themselves to change what is wrong in their world. Forcing them to live as outcasts. And yet, as with any good cause, unexpected alliances show up from the most unexpected places, in this case the universe, as one would expect in a good sci-fi / cli-fi novel. The story takes place in the not too distant future when our hero ‘Boy’ dreams of encountering the girl in his dreams. Instead, he’s made to see the need to help the underground trying to save the world from those who would profit from polluting it. ‘Boy’ unexpectedly creates intelligent life and has to run from the law. When ‘Boy’ has nowhere to run, he is rescued by his father's clone and a leopard-skinned creature and taken to another world. But his relentless enemies don’t give up so easily and pursue him. The beginning reminded me of some elements of the Matrix movie. The plot was good and original, although the world-building lacked some explanation, making me question a few things. The story was unpredictable with interspersed messages about the need to be environmentally conscious. This was the book’s strength, however, there were times I felt a disconnect from one scene to another. This tended to break the build-up of suspense. Nature's Confession clearly shows our teens how humans can be both a force for good or bad when it comes to taking care of the Earth. The book’s provoking message intermingled with the need to make a difference, and to develop good friendships has much to offer those who enjoy this new genre of sci-fi. Hope to see more of it. Note: This book is rated PG-13 for a gory and spiritistic sorority initiation rite scene. Novelist and rooftop farmer, JL Morin grew up in inner city Detroit and wrote her Japan novel, Sazzae as her thesis at Harvard. It was a Gold medalist in the eLit Book Award, and a Living Now Book Award winner. She took to the road, traveling around the world, worked as a TV newscaster, and wrote three more novels. Adjunct faculty at Boston University, J. L. Morin, was nominated for the Pushcart Prize in 2011. She is the author of Travelling Light, and ‘Occupy’s 1st bestselling novel’ Trading Dreams, a humorous story that unmasks hypocrisy in the banking industry and tosses corruption onto the horns of the Wall Street bull. 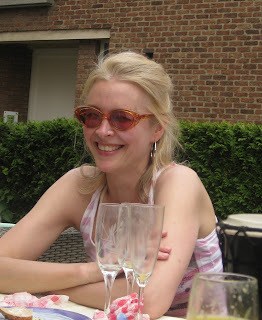 She writes for the Huffington Post, and Library Journal, Sustainable Cites Collective, and has written for The Harvard Advocate, Harvard Yisei, Detroit News, Agence France-Presse, Cyprus Weekly, European Daily, Livonia Observer Eccentric Newspapers, the Harvard Crimson and others.